Born in Ontario, Canada in the late nineties, Connor now lives in Florida as a high school student where his love and knowledge of tea continues to grow. Connor’s love for tea began as a child when he was introduced to the western tea traditions of his Grandparents. Now mostly interested in Chinese teas, Connor reads everything he can about tea and tea culture from around the world. Rupal Sharma has a flair for her writing and believes in improving herself every day which can only be done by reading and writing. She works at Te.Cha Tea- Specialty Tea Boutique as a content marketing manager and a content writer. You can even have a read of more of her blogs in the blog section of the company’s website. Shadi Afshar was born in the UK and moved to Texas at the age of five. Coming from a Persian heritage, she has been surrounded by tea all her life. Much of her family, including her father, work for Ahmad Tea London. Initially, she had little interest in the tea industry and focused her career in technology and then, later, in social media and marketing. It wasn’t until she joined her father at the 2010 Fancy Food Show in San Francisco that she recognized not only her own interest in tea, but also the level of passion and conversation that exists in the tea industry. After making her dream move to New York in late 2011, she decided to work with her father at Ahmad Tea London and has loved every moment. She has gone from being a daily coffee drinker to an “English Breakfast in the morning and Mint Green tea at night” drinker. She enjoys learning about the proper etiquette of afternoon tea and then hosting tea and various delicious chocolates at her NYC studio for her friends. Let her know if you’re ever in the city – she’ll happily have a cuppa with you! A natural visionary, Faith Ann, developed an ambitious goal – to create a trade show exclusively for the tea industry. With her infectious passion for tea, Faith Ann studied the market and spent three years networking with tea growers, associations, exporters, importers, and anyone dealing with tea-related items to sell her concept. In 2003, the first “Take Me 2 Tea Expo” in Las Vegas, Nevada, was launched and the world of tea was successfully united under one roof. She eventually sold her interest in the Expo and began freelancing, working with ITI, local restaurants, and STI, and writing for some publications. She is currently working with ITI as a sales and marketing consultant. Her current project is the Los Angeles International Tea Festival. Tim Barribeau is a freelance science and technology writer, and long-term tea addict. He has a deep and abiding love of food, photography, and gadgets in general, and you can find his writing at the Wirecutter, Imaging Resource, and PopPhoto. Started writing the Tea in the Ancient World blog in 2013. Married with two children, current profession in IT (data center quality assurance management), living in Bangkok, Thailand for the past 8 years. Past interests in Buddhist philosophy and diverse sports, with prior residence in PA, TX, MD, CO, and HI. Currently into parenting and travel, visiting a lot of the East and Southeast Asian countries, along with relatively active social media use. Current tea preference for interesting versions of oolongs and black teas, but I like trying lots of different teas, just not so much into blends. Chris Bourgea has been immersed in the tea industry since starting BourgeaTEA in October 2008 on his college campus as a way to bring gourmet tea to students. He interned at Honest Tea as a ROAD Warrior helping launch markets in Tennessee, Louisiana, Georgia, Alabama, and Mississippi when Honest Tea first started distributing through Coca-Cola. After graduating from Anderson University and selling BourgeaTEA in May 2011, he joined Adagio Teas in the windy city to help expand their retail operations. Ed Brown, an SEO Strategist with DBD Media in London, works on behalf of the Maybourne Hotel group, which is comprised of three of the best luxury hotels in London – the art deco jewel Claridge’s, the classically styled Connaught, and Knightbridge’s luxury gem Berkeley. All are well known for their exquisite afternoon teas. Dr. Jack Bukowski is an Assistant Clinical Professor of Medicine at Harvard Medical School, a physician (rheumatologist), a scientist, and chief scientific officer of the Nutritional Science Research Institute (NSRI). He has been researching the immune system for over 30 years and became interested in tea when he discovered that tea boosts the immune system’s ability to fight colds and flu. Sandy M. Bushberg is one of the original founders of T Ching and a member of the board of directors. Having been in the healthcare field as a psychologist for over 20 years and as a clinical herbalist, Sandy has a long-term vision of promoting health and wellness and devoting himself to reversing the destructive trend of declining health in this country. He is driven by the realization that if more people don’t start to do something soon to begin reversing this rapid decline in our health, then our nation’s economy will be overwhelmed by the growing costs of healthcare. His interest in tea as an inspiration for promoting health was piqued during a trip to Southeast Asia where he began to study the myriad health benefits of tea. During the ensuing years, Sandy has done in-depth research about tea – its history and health benefits, both physiological and psychological/spiritual – and has obtained certification as a Tea Specialist through the Specialty Tea Institute. Sandy’s strong vision and creative insights have been key in the development of Tching.com. Ricardo is a tea blogger focused exclusively on Japanese teas. Through his blog, www.myjapanesegreentea.com, he wants to share his passion with the world and connect with other tea enthusiasts. At his home country Colombia, he is taking an active part in the spreading of tea culture. It will be difficult to make tea popular in a place with such a strong coffee background, but he is determined to succeed. A leader in the Specialty Tea Industry for more than a decade, Charles brought TeaGschwendner to the US, launched Adagio Tea’s Retail operation, opened an award-winning flagship concept store for Tazo Teas, and most recently served as Vice President of Retail Operations and Franchising for Teavana. Teavana was acquired by Starbucks in 2012 for $620 million and is the world’s leading specialty tea retailer with more than 350 stores in 7 countries. Charles led the teams responsible for developing and testing new retail strategies, and international operations and expansion. Charles has designed, opened and managed 15 tea stores ranging from pure retail to a 66 seat full-service restaurant with executive chef. At every stage of the process the goal has always been to find the perfect recipe to attract the maximum number of consumers and introduce them to the wonders of premium loose-leaf tea. Josh Caplan is the Founder and Chief Activist Officer of Tea of the People. Josh holds a Bachelor of Arts in Political Science from Concordia University, a certificate in Comprehensive Project Management from McGill University and completed the Advanced Project Management program at Stanford University. Josh is a Fellow at the Royal Society for the encouragement of Arts, Carnegie New Leader at the Carnegie Council for Ethics in International Affairs, Young Leader at the Center for Strategic and International Studies and an Emerging Leader in Environmental and Energy Policy at the Atlantic Council. Derek Chew is the founder of Peony Tea Solutions (www.peonyts.com), an online Chinese tea shop in Singapore, whose motto is “Celebrating the contemporary art of tea.” His goal is to simplify and demystify the art of tea so that anyone can brew it without feeling intimidated. There is a Chinese saying that “the tallest buildings are constructed from ground up.” Although there is much to learn about tea, baby steps have to be taken. Derek hopes to simplify the process, but preserve the experience. On a personal note, the loves of his life are God, his family, literature, and tea – in that order. His plan is to devote the rest of his life to these four causes. On a frivolous note, he enjoys the odd occasional flirtation with the Los Angeles Lakers and the NBA. With his two parents being tea connoisseurs, Kevin Chu has been enveloped in tea culture his entire life. While studying Chemistry at UCLA, Kevin began to be infatuated with the health benefits that tea drinking had on the body and decided to accompany his parents to Southeast Asia in search of premium loose teas. With a big soft spot for children, Kevin and his family started Master Chu’s Tea House in the hopes that with every purchase made, a donation will be given to different children’s program. A native Californian, born literally on Sunset Boulevard in Los Angeles, Erika Cilengir grew up in the Highland Park/Mt. Washington area of the city, a haven for persons marching to a different beat. After earning a bachelor’s degree in English literature from Pomona College, Erika spent four months in Germany, studying German at the Goethe Institute in Luneburg, where she met her future husband. Erika then began her nearly 20-year career as a technical communicator in the computer industry and received a master’s degree in Communication from the University of Southern California (USC). In 1998, Erika made a career transition, moving into business analysis. She continues to work as an IT business analyst, but took a brief break from the corporate world in 2008 to pursue her dream of starting a tea house. After eight intense months of pursuing her dream, Erika decided it was not the right time to open a business and put her dream on hold. But Erika continues to be a tea enthusiast and makes a point of savoring at least one cup a day. Her positive associations with tea began many years ago when Erika regularly spent afternoons with a good friend and tea lover, sampling various teas, enjoying her company, and leaving feeling refreshed and relaxed. Today, steeping a cup of tea is one of the best ways Erika has found to take a break from the hustle and bustle of living. It is a healthy habit that complements her other healthy habits of running and eating well as well as her volunteer work with the National Alliance on Mental Illness (NAMI). Brenna Ciummo is writer for Seattle Coffee Gear and as a native of the Emerald City has grown up with coffee and tea in her blood. A lifelong learner, she has attended James Norwood Pratt’s Apprentice Tea Sommelier class as well as several coffee and tea tastings and festivals, and enjoys sharing the knowledge she has picked up with others. For over twenty years, Jennifer R. Cook makes it no secret that she is always on the creative prowl. So much so, she started Cats in the Bag Design (design le Chat est dans l’Sac). Since 1991, her business has paired many happy customers with satisfied clients through a combination of market research, strategic planning, her extensive experience in graphic design, and intensive knowledge of the creative solutions her clients seek. To shake up her career, Jennifer relocated to Montreal in 2009. But, a series of events shook up her life instead, giving way to the creation of “What my Coffee says to me,” “What my Tea says to me,” and “What my Wine says to me” daily art project. The famous quotes and encouragements, coupled with unique designs, brewed an internet fandom cheered on by followers and coffee/tea companies alike. She often professes to have lost four of her nine lives in the last twenty years, always landing on her feet. For this reason, she is grateful for each and every chance to help others succeed, especially through strategic graphic design or simply by bringing a smile to everyone’s day with her daily inspired illustrations. Ben Dane is a certified food handler and tea aficionado. He is a student currently in his senior year of high school, and he wakes up every morning with a cup of earl grey. He established a tea club at his school. When he’s not drinking tea, he is appearing in stage and tv as an actor/unicyclist, going on jogs, and sleeping. Joanna DeRungs, a native Oregonian, has been involved with tea, horses, communication, and leadership most of her life. She worked with horses and intuitive natural horsemanship on a family farm as a girl, honing her communication and leadership skills. Later she used those same skills (written, verbal, and non-verbal communication and natural leadership) to advance through the corporate legal and technical world. She founded a technical and business consulting firm in 1993 to help professionals with their new electronic tools and bring their communications into the digital age. While leading the success of her firm for over 15 years, she felt there was more she could do. After buying and restoring a farm, she returned to work with horses, studying the field of Equine Assisted Experiential Learning. She then added her own element of experiential tea and food tastings. Joanna has found a way to help others take steps toward regaining their authentic nature and build an awareness of their own internal communication tools through the development of Natural Whisperings (SM), a company centered on experiential work with people, tea, food, and horses (NaturalWhisperings.com). Although to some this may seem an unlikely combination, she says the same experiential work can be accomplished regardless of the partner. “Some people are less intimidated by a cup a tea and a plate of beautifully prepared food than by a 1,000 pound horse, but it all works out the same in the end.” During this process, poetry began to flow while Joanna was enjoying her morning cup of tea. She won her first tea poetry contest in 2009 and has not put her pen down since. She writes nature-inspired, reflective, and tea-inspired poetry, which she shares with us on T Ching. Chris is an award-winning graphic designer based in New York City. A graduate of the Rhode Island School of Design, Chris has worked for renowned design firms specializing in print, corporate identity, and brand environments. Collaborating with a distinguished list of architects, developers, and clients, Chris has led design efforts for cultural institutions, universities, office towers, media and entertainment, parks, and hospitality. Notable accomplishments include identity and sign graphics for ESPN’s Nagano Olympic coverage, Philadelphia’s Comcast Center, Radio City Music Hall, and Nashville’s Schermerhorn Symphony Center. International work includes that for Hoshi Kodomo Otona (Family) Clinic and building contractor Fuji Kensetsu in Saitama, Japan. Chris’ work has been published in Pictograms & Icon Graphics 2, Graphis Logo Design 6, Brand Identity Essentials, and Basic Sign. He also participated in Intertidal Age – Taiwan’s first international graphic design exhibit at the Taipei World Design Expo 2011. Lsa Dong has MA degrees in both economics and Buddhist Studies, now pursuing her Phd degree in Buddhist Studies special in Tea Rituals. She is also a Chinese tea artist in high level ( 高级茶艺师) , having spent several years studying tea in local production places such as Yunnan and Fujian, and in Chinese tea cities such as Maliandao and Tianshan tea city. She does not only study tea from tea artists and experts, but tea farmers and the small tea shop owners as well. Lisa also has studied Korean tea in the Korean Sado college and from the tea farmers in Boseong county of Korea. She is conversant and literate in Chinese, Korean, Japanese, English and Sanskrit languages. In addition, Lisa organized her “Tea Dhamma club” in LA. Rebecca Doverspike graduated from Beloit College with a degree in Literature and Religious Studies. She currently works at a non-profit cafe in Appleton, WI and spends her time trying to translate the stories she hears of people’s lives into reflective prose. As a long time coffee lover, she’s really enjoying exploring the world of tea and contributing to a community of writers on this lovely subject. Kate Dumont is a writer and artist living ‘la dolce vita’ in Sausalito, California. She has had a love affair with tea all her life when she began drinking tea at the tender age of 16. In a family of hard-core coffee drinkers, she felt like she was a cocker spaniel living with dobermans. When she was 18, she lived in Sweden for one year, where tea drinking was more common, found her tea bliss, and learned that there is more to tea than Lipton (tho her British friends love Lipton.) The clouds parted and the heavens opened when she lived in Los Angeles in the 1980s and took a tour of Chinatown; one stop on the tour included the Ten Ren tea shop…rose tea, oolong tea, white tea, jasmine, and all the varieties were available there. Right now she is on the hunt for the best Masala Chai. Holly Erdogan is a firm believer that tea soothes her soul because it’s done just that. From drinking iced green tea on a terribly hot day in the San Fernando Valley to snuggling up with a book and the perfect cup of hot tea in the middle of the day, she is absolutely in love with tea for all aspects of her life. Holly will be earning her Nutrition and Dietetics degree from California State University, Northridge in May 2011 and resides in Southern California. Holly grew up in a small town in Oklahoma where it seemed like the only tea people drank was good ole’ southern (highly sweetened) sweet tea. It wasn’t until moving to California in 2007 that her addiction to tea began. She loves the simplicity of a cup of tea, the healing benefits, and the pure, honest taste it delivers. Holly is planning to become a Registered Dietitian and teach the benefits of tea to our bodies to her future clients. Dharlene Marie Fahl has long been connecting tea and spirituality with an inner journey of self-discovery, self-healing, and self-love. She began by writing healing prayers to enjoy while slowly sipping tea in sweet surrender and now has 101 of them. Her first book “Sereni-Tea: Seven Sips to BLISS,” is available on Amazon which includes a Foreword by Dan Robertson. Dharlene Marie is a Level 3+ Certified Tea Specialist with the Specialty Tea Institute of America, and traveled to China as a delegate in the China Tea Tour with the Tea Association of the USA in 2007. Dharlene Marie was also a participant in the first American Tea Masters Association program in San Diego in 2008 and a featured guest speaker at the first Indian Tea Forum in October of 2010 in Siliguri, India. She was hosted for over a month by Rajiv Lochan of Lochan Tea and Shiv Saria of Rohini Tea Estate and traveled to many parts of the Darjeeling tea-growing areas. In 2011, Dharlene Marie spent time in the tea fields and factories of the Shizuoka tea-growing area in Japan. She has also visited our own American Tea Plantation in Charleston, South Carolina. Ms. Fahl is an inspirational speaker with several heartfelt presentations and tea demonstrations that she offers to companies, organizations, women’s groups, churches, as well as appreciating our seniors by bringing tea into their communities and spoiling them just to make their day. Her message is simple: “In the time it takes to mindfully sip a cup of tea, you can calm your mind, change your life, and claim your bliss.” In her books and meditations she explains how easily this can be done. She will soon be introducing her tea poetry in a book called, A Passion for Tea. You can find her on most social media platforms. Email at teagoddess@dharlenemariefahl.com. So-Han Fan was born in New Orleans to a Chinese father and a Jewish mother. After moving to Houston as a baby, his interaction with his Chinese heritage focused mainly around food, including weekend dim sum brunches fueled by pot after pot of hot pu er tea. However, he discovered his passion for gong fu cha and Chinese tea culture while studying in Santa Cruz, California. For the next seven years he dabbled in the burgeoning West Coast gong fu cha community, taught free classes on the topic, and worked for a year in the now-defunct Jade Leaves Teahouse in Austin, Texas. From 2010-2012 he lived in Chengdu, Sichuan, interning with CURA, an environmental NGO focused on water sustainability. In his leisure time he explored the famous tea mountains of Sichuan, Yunnan, and Guangxi, and upon his return founded West China Tea Company in Austin to share his farm-direct teas and Chinese tea culture. Since then he has made return trips specifically to source teas, and now has farm-direct artisan teas from Sichuan, Yunnan, Guangxi, Fujian, Taiwan, and Guangdong. He travels back to China annually to expand his repertoire and to deepen his knowledge and relationships with his farmers. It was the ceremonies of tea that first intrigued Donna Fellman and moved her to look deeper into tea. It was the wisdom of the spirit of tea, informing our traditions and rituals, that inspired her to learn more about this enduring drink. And it was the discovery of the world of tea and a healthful beverage that infused her life with a sense of well-being and centered energy that motivated her to share that knowledge with others. As director of the Tea Education Alliance (T·E·A), she offers professional consulting and staff training programs, and publishes educational materials about tea. She is the co-author of Tea Here Now, (Inner Ocean Publishing, December 2005) exploring tea as a lifestyle and written for everyone who wishes to infuse uncomplicated spirituality and mindfulness into his or her tea drinking. And she is Chairman of the Specialty Tea Institute’s Education Committee where she is working to expand the structure as well as cohere the educational core of the STI Tea Certification Program to meet the needs and demands of the rapidly growing tea industry. She studies chanoyu, the Japanese tea ceremony through the Urasenke Foundation. Aaron Fisher graduated with a Bachelors degree in anthropology and philosophy. He then spent the next decade traveling through more than forty countries, primarily in Asia—living for some time in India, Japan, and China before finally settling in Taiwan where he currently resides. He is the Senior Managing Editor of all English Publications at Wushing Publications, Ltd. Wushing is the largest name in Asia with regards to the publication of tea and tea culture books and magazines (with a broad base in Chinese art as well). For several years, their Chinese books and magazines have set the standard throughout the Chinese speaking world. One tea magazine, “Tea Art, Puerh Teapot” has a distribution of over 50,000 copies. It would be difficult to find a tea shop in Asia without Wushing books. And they have recently entered the English speaking market with “The Art of Tea Magazine”, which is distributed to more than thirty countries. The magazine offers more than 150 pages of in-depth articles per issue, on everything from cooking, spirituality, teaware and Yixing to tea processing, the tea market, and preparation—all written by the most renowned tea masters on Earth. “The Art of Tea” is the only magazine of its kind, for the tea connoisseur. Mr. Fisher will also be publishing two books this year, and translating several other important tea works in the coming years. He is the founder of a school for English, Music and Art, spending his free time there, working on his own paintings, or drinking tea. Tyler Gage is the President and Co-founder of Runa, a social enterprise that sustainably produces and markets guayusa tea from the Amazon. Runa has partnered with over 600 indigenous farmers in Ecuador to produce and export guayusa from Ecuador that carries both Organic and Fair Trade certifications. Tyler has researched ethnolinguistics, fair trade business development, and indigenous botanical traditions throughout Ecuador, Peru, Brazil, Belize, and Costa Rica with a focus on cross-cultural translation. A graduate of Brown University, Tyler enjoys spending time with his Siberian husky, and frequently gets up at 3:00 AM to participate in guayusa tea ceremonies with the indigenous communities he partners with. Jason Gibb set up Nudo in 2005 after buying and restoring an abandoned 21 acre olive grove in Italy’s Le Marche. Dan Greenfeld grew up in Brooklyn and was an attorney for 35 years. Now he’s a New York City potter-ceramic artist (a hyphenate he obsesses over) specializing in teapots – porcelain, wood-fired, wisteria handled – that are as functional as they are beautiful. His interest in ceramics was kindled seven years ago when he met his spouse, a ceramicist, artist, and creativity educator. Having no real knowledge of ceramics, but fascinated by the pieces she was making in her studio and from which they were eating and drinking, Dan began looking at ceramics in museums and galleries, and reading and asking questions about, and ultimately collecting, ceramics. Feeling he could never really understand ceramics without some experience in making them, Dan started taking classes and had the good fortune to receive instruction from some potters during his first trip to Japan. He progressed by taking workshops with potters whose work he admired, and refined his techniques, forms, and materials by using the wisdom and experience they so graciously and selflessly imparted. Dan chose to explore the teapot because he was challenged by the form’s inherently conflicting aesthetic and functional issues. As his thinking evolved, he began to understand that a teapot of sufficient beauty and functionality could enhance people’s lives. The teapot can be the focal point of a daily ritual (used in the best sense of the word) encompassing aesthetic contemplation, tea connoisseurship, considered and focused utilization of the senses, and most importantly, discourse and human connection – the essence of the tea ceremony. Michael Haavaldsrud is a grade twelve high school student from a small town in northern Ontario. Michael has studied tea in his free time for the last two years. His favourite kinds of tea are Jasmine and Oolong. Aside from drinking, brewing and studying tea, Michael enjoys reading, meditating, exercising and studying/ practicing Taoism. Dianna comes from a long line of tea and medicinal herbal tisane drinkers. She fondly remembers the Spring tonics, wild greens, and “English tea” that her paternal grandmother prepared for her. Dianna Harbin’s passion is tea education and sharing tea in community with others, especially puerh tea. Dianna founded the Long Beach Tea, Los Angeles Tea, San Diego Tea, San Francisco Tea, and Santa Barbara Tea enthusiast groups on Meetup.com. The groups aim to help people learn about tea, teach about tea, support California tea businesses, and build community through the sharing of tea. Her latest effort, California Tea Meetup, helps California businesses network with Meetup groups. Dianna is organizing a new version of Tea Appreciation Day, an annual international effort to honor and support the tea trades. Dianna is a Specialty Tea Institute Certified Tea Specialist and Recommended Certified Speaker and is in the initial group of STI Level 4 attendees. She is a practicing Clinical Laboratory Scientist and holds Bachelor Degrees in Cultural Anthropology, Microbiology, and Medical Technology. Dianna resides in Southern California. Naja, owner of Naja Tea, began her love affair with tea as a young girl, observing her grandmother preparing her morning cup of freshly steeped chamomile tea and savoring each sip. Through her grandmother’s morning ritual, Naja came to see tea as a symbol of the lifestyle she cherished. This impression was only strengthened as Naja grew up and traveled the world, noticing that tea was a source of goodness for so many people: where there was tea, there was laughter, intellectual stimulation, love, and delight. Naja studied the history of tea and its many social traditions, but she also craved a fresher, more modern tea experience. When Naja visited Boston in the winter of 2003, she sensed for the first time that having her tea and drinking it too was, in fact, possible. During a brief afternoon break from meetings, she stumbled upon a unique, contemporary tea bar on Newbury Street where she enjoyed a simple, yet refreshing, cup of Bancha green tea. It was a vibrant tea lounge, full of people who seemed content with the day. Some were reading intently, others were working diligently on their laptops, and others were in the midst of conversation with friends. The energy was infectious and truly inspiring. She walked out of that trendy spot feeling satisfied and motivated, and compelled to design a company that would make others feel the way she felt that afternoon. Holly Helt, an American, grew up in Japan and has been drinking Japanese tea since the age of three. She has studied two methods of tea ceremony, both Urasenke and lesser known Yabunouchi, which has direct lineage to Sen-no Rikyu (known as the father of the tea ceremony), and is the school of practice for samurai. In 2013 she co-founded Chiki Tea – a Japanese/American fusion pairing Japanese green teas with Western flavors such as brownies, scones and cheesecake. The flagship Chiki Tea café and retail outlet in Nakatsu (Kyushu) is fast becoming regarded as the go-to place for great tasting matcha from Yame and premium kabuse senchas from Kagoshima but is also famous for Holly’s family recipes for granola, cookies, muffins, and cakes. Chiki Tea is a UK company with a Japanese subsidiary. Seven Cups Founder Austin Hodge is an entrepreneur with a focus on small international business development, dedicated to creative, sustainable, long-term business modeling. Austin is also a tea enthusiast and a Chinese tea student. Knowledgeable about import / export and international business with a focus on China, Austin is a Chinese government liaison with experience in e-commerce, retail / wholesale, and databases. In fact, Austin is many things to many people, including, but not limited to, Chongqing husband, father, grandfather, brother, perpetual student, geek, photographer, writer, blogger, blues musician, and food lover. Austin was the first American to be published in the Chinese International Tea Culture Institute’s Journal; his paper there was republished in tea trade magazines across China. Also the Honorary Director of the Chinese International Tea Culture Institute, Austin has received the Global Puer Top Ten Outstanding Persons of China Award. Austin’s company – Seven Cups – was the first American company to be granted a Chinese Trading License. Born and raised in Southern California, Zach Hodgson is proud to be part of the T Ching family, working from his new home in Seattle, Washington where he currently makes his living as a freelance photographer and graphic designer. You can find some of his work on his personal web site at www.ZachHodgson.com. His love for tea goes back several years and his affection for photography goes back even further. He received his first camera, a 110 Instamatic, as a gift from his parents when he was only a small child. He received formal training in both the graphic and photographic arts in college, where his professors were quick to point out his natural talent for composition. In 2007, Zach received a Bachelor of Arts in Graphic Design, and left college with a life-long love for learning and new experiences. He finds himself most often enjoying P.G. Tips black tea, Yerba Mate, and Sencha and Genmaicha green teas as well as an occasional masala chai, often out of one of his mother’s hand-thrown mugs. David Lee Hoffman has been traveling the remote back country of Asia for more than 40 years seeking out the world’s finest rare, organic, and wild pure leaf teas. He is the first American to work directly with tea farmers in China and to engage in joint ventures with old, established tea gardens. With an extensive background in vermiculture and soil fertility, he has worked in China with the prestigious National Tea Research Institute, the Chinese Academy of Agricultural Sciences, and the Department of Agriculture to help them implement organic and sustainable tea farming practices. Daniel Hong is a Chinese tea farmer, tea master, and tea exporter, as well as the owner of the Hong China Tea Company (www.hongchinatea.com). His favorite tea is Tie Guan Yin. A Taiwanese, Ifang (pronounced ee-fong) Hsieh immigrated to the U.S. with her family at the age of sixteen. After receiving a degree in computer science and engineering, Ifang started her career as an analyst and later worked as an IT manager responsible for the development of a major bank’s online banking software. In 2008, Ifang decided to pursue a career change and spent eight months touring and living in Asia. Writing, traveling, and operas are Ifang’s passion. Favorite destinations include Bogota in Colombia, Venice in Italy, the Jiangnan region in China, and Taiwan. Her favorite opera is Offenbach’s “the Tales of Hoffmann.” Ifang enjoys visiting tea rooms internationally, especially those that provide an eclectic selection of teas and are whimsically decorated. Sam James is a Melbourne, Australia based chef who left the restaurant industry behind to follow his passions for health, wellbeing and Japanese matcha tea. He founded Kenko Tea in 2013 with the goal of sharing his passion for Japanese matcha green tea with the rest of Australia. He now spends his time creating new matcha tea recipes, blogging about matcha tea and is always trying to learn more about Japanese tea. Her current favorite tea drink is a Seattle Tea Latte, a variation on the popular London Fog Tea Latte. Here is the recipe. Charles Kellogg grew up drinking tea while watching sumo on television with his mother. Throughout his life, he consumed tea and took it for granted. In 2003, he took a sharp turn down life’s long road and relocated to Japan to study traditional folk arts. While there, he became fascinated with the cultures and arts encompassed in the Japanese Tea Ceremony. After returning to the United States, he began working for Lupicia Fresh Tea, a tea specialty retailer based in Tokyo, Japan. He continues to learn about tea, tea culture, and tea people. locally-grown tea that he had already developed led him to the Dong Ding Mountain tea growing region. Since then, it has been an ongoing exploration of the world of tea which has provided a fulfillment that is unique to this island. Since 1997, Andy has been sharing this passion for tea as a private exporter of quality Oolong Tea. Now, after decades of an ever-deepening appreciation for this cultural treasure – he is sharing Taiwanese Tea and tea culture with a larger audience through Eco-Cha. Elizabeth Knight is the author of several bestselling books on the subjects of tea and entertaining including Tea with Friends and Welcome Home. Her latest book, Tea in the City: New York – a tea lover’s guide to sipping and shopping in the city has just been published. She writes for magazines such as Romantic Homes, Tea & Coffee Asia, and Tea A Magazine. Elizabeth is a frequent guest on national television and radio programs including WNBC’s Today in New York, WOR’s Food Talk, The Travel Channel, The Home Shopping Network and QVC. Sharing her love of tea and entertaining with others has been the basis of Knight’s business, Tea With Friends, www.teawithfriends.com. As the tea sommelier for the historic St. Regis Hotel, Elizabeth is much sought after for speaking engagements and workshops. She regularly speaks to national retailers including Bloomingdale’s and Marshall Fields, cultural institutions including The British National Trust, historical and botanical societies including The Missouri Botanical Garden and schools including New York University. As spokesperson for the 40th anniversary of Royal Doulton’s china pattern, Old Country Roses, she created and presented consumer programs in stores across the U.S. Her latest offering is a series of guided walking tours through New York City based on her new book Tea in the City. For the first time, Knight will share her expansive knowledge of Manhattan’s “must sip and shop spots.” This unique experience is steeped in the expertise of one of the country’s leading tea authorities. Kulov was born and raised in the Old Country. He started his annual tea festivals as Valentine’s Day tea-time celebrations for his nieces in Holland a decade ago. The event has since grown into a public undertaking in the Los Angeles area, which celebrates and promotes tea through various cultural and educational activities such as workshops, lectures, tea ceremonies, art installations, and performances. Kulov does not consider himself a tea expert nor connoisseur, but loves to combine his appreciation for exquisite teas with his marketing and programming expertise in order to create unique cultural tea experiences that both educate and delight the general public. In addition to the tea festival during the springtime, he also organizes autumn tea bus tours. Kulov is currently based in Santa Monica, California, close to the beach for fresh air, as well as to the airport, so he can always easily access and explore tea cultures in other parts of the world. For more information, please check out www.kulov.com. Lawrence Lai is a Taiwanese and the founder of “Easy Tea Hard Choice”. He is born in Taichung which happens to be the center of several main tea regions in Taiwan. Since he was little, he travelled a lot with his father around to visit tea farmers. In that time, he did not realize how lucky he was to taste the freshest oolong which was just made by the hand of an old tea master. Until many years later, he finished 10 years career in corporate banking in China and decided to go back to Taiwan to take over family’s wine & spirit business. Someday, he was invited to an event where a young Scotch whisky distiller was making a presentation of a single malt whisky from his hometown. Suddenly, it struck to Lawrence that this is exactly what he wants to do at all times. He wants to introduce something really great from Taiwan to the world, just as what the Scotch people do for whisky as well as what the French people do for wine. And Taiwanese tea is his answer. Lawrence is a stubborn person so that he appreciates people with the same quality. In his travels among tea regions, he found many tea farms were abandoned and many people left for big cities for an easier job. But, there are still some people stayed and keep doing what they do. He is impressed and determined to help those small farmers who persistently produce high quality teas but have low visibility in the international market due to lack of marketing ability. This is where his company “Easy Tea Hard Choice” started in the first place. It was originally “Easy Tea Fine Choice.” But, later Lawrence decided to rename to “HARD CHOICE” in order not to forget that good choice is always hard. And we should choose the hard way instead of the easy way. John-Paul Lee has been exposed to the food service industry since his early youth, coming from a family of restaurant entrepreneurs. John-Paul’s mother founded a highly successful restaurant chain based in Seoul, Korea during the early 1990’s, expanding the franchise to 16 units within a four-year span. In 2001, he and his family acquired a struggling restaurant in Arlington, VA. John-Paul spent the next two years revamping the business as co-owner and General Manager, and sold the restaurant at a profit in 2003. During this time, he also worked full-time as a consultant for Accenture. With a background in Finance and Computer Information Systems (CIS), he served as a liaison between the client and Accenture, translating business needs into technical requirements. In 2004, prior to launching Tavalon, John-Paul spent 9 months in Europe and Asia studying tea markets. He continued his research in the U.S. conducting market surveys to determine tea blend preferences in targeted consumer groups, store locations, and impromptu tea-tastings to get real customer feedback on newly created blends. He also served as General Manager of a local tea house in Manhattan to strengthen his hands-on understanding of tea retail operations. John-Paul is an accomplished and recognized entrepreneur who was recently honored with the Outstanding 50 Asian Americans in Business Award 2010 by the AABDC. America.gov also placed him on the list of entrepreneurs who successfully started a business in their teens/20’s alongside Bill Gates (Microsoft), Russell Simmons (Def Jam Recordings), Michael Dell (Dell Inc), Mark Zuckerberg (Facebook), Kevin Plank (Under Armour), and Larry Page/Sergey Brin (Google). John-Paul obtained a BS in business administration from James Madison University. He also holds certifications from the Specialty Tea Institute of America and is a Siebel-certified consultant. Melanie Lee is a freelance writer from Singapore who runs a tea blog at tealadymel.wordpress.com and has too much tea at home. She loves how her favorite things in life – travel, nature, history, and contemplation – are all so beautifully encapsulated in this one beverage. Melanie’s favorite tea-related memories include breaking a teacup in Cameron Highlands, sunbathing at The Tea Factory Hotel in Nuwara Eliya, and blending green tea in Shizuoka. Rachel Linton is a seventh grader who enjoys school, math, and being on the Mock Trial Team. Her other hobbies include reading (especially fantasy books and Shakespeare), Girl Scouts, and singing along with her CDs. She also plays the piano. Rachel loves cats, both her own Abyssinian and those she works with at the local animal shelter. She also loves tea (not quite as much as cats), especially the Cinnamon Apple variety. Rachel currently resides in Southern California with her parents, twin sister, and cat Juliet. Morgan is the co-founder of travel blog, Two Blue Passports. Originally from New Jersey, she moved to California to receive her master’s in Environmental Science & Management from UC Santa Barbara. After completion, she moved up to San Francisco and worked for The Gap. She currently lives in Dublin, Ireland with her husband and they travel as often as they can. Some of her most recent favorite destinations include Portugal, Croatia, and Greece. Morgan has always enjoyed the therapeutic and digestive properties of herbal teas such as chamomile before bed or ginger to relieve stomach issues. She is now covering “Tea and Travel” to bring you some of her favorite tea spots discovered through her travels. Sarah Linton is a seventh grader who enjoys running Cross Country and Track. Other hobbies include collecting stamps, listening to music, and making friendship bracelets. She is also a dedicated Girl Scout and violinist. Sarah loves school, and especially enjoys math and writing. Only recently has she discovered the joys of tea. Sarah lives in Southern California with her mom, dad, twin sister, pet Abyssinian cat (Juliet), and bearded dragon lizard (Spirit). A graduate from St. Pauls, Darjeeling, Ankit Lochan has tea in his veins. Starting his tea career at the ripe old age of 15, Ankit has developed a keen sense of the value of this local product. Having been trained at various tea estates in India, he has become the main tea sourcing brain for Surajmukhi Tea. Founded by Ankit Lochan, a tea master who started his tea career at a very early age, he has worked with a lot of tea companies worldwide in establishing various new tea projects. A renowned and well known tea entrepreneurs with a strong history in the Indian tea industry, Ankit Lochan has established Surajmukhi Tea with a vision of sharing Indian teas with the world, the way it was meant to be tasted, fresh and of the highest quality. The strategic location at Siliguri gives us an edge over others since this place is the centre of tea growing areas of Assam, Dooars, Terai, Darjeeling and Dinajpur districts of North East India, Nepal, Sikkim, Bhutan and Bangladesh. All 500 million kilos of tea produced in this area passes through this town and 100 million kilos is sold through the Siliguri Tea Auction, of which we are an operating member. The small tea growers movement has led to the establishment of scores of Bought Leaf Tea Factories (BLF), which in addition to single estate teas gives a wide spectrum of choices for a buyer, sourcing teas from this town. Ankit Lochan has been actively involved with various worldwide projects like the development of Nespresso Tea Project (Nestle) in Switzerland, the development of RTDs in North America, the World Tea expo in Las Vegas, USA, the development of black tea culture in China, The setting of Indian style tea houses in Japan. Surajmukhi Tea (formerly known as Lochan Sons) is a Darjeeling based tea company with the Magic Tea Brand and focuses on delivering the best Indian Teas to Tea Connoisseurs and whole whole-sellers worldwide. Surajmukhi Tea through its website www.teainindia.com has been one of the most progressive and innovative tea company in serving our wholesale partners with a wide variety of Indian teas at the most reasonable prices. Laura Logsdon has lived and traveled all over the world. While living in New Zealand as a child, she fell in love with the ritual of stopping everything and slowly sipping a warm cup of tea. As an adult, Laura lives in Los Angeles, where she works in the entertainment industry. In her free time, she travels the world with her husband on a quest for the perfect cup of tea. Nicholas Lozito is a purveyor of Raw Pu’er tea sourced from one family and one farm. He runs Misty Peak Teas and focuses on bringing the story and culture of tea to The West while keeping the tradition and tea in its purest form. After years of living with the family, Nicholas now spends most of the year in America hosting events and educating tea shops and tea drinkers on Pu’er Tea. A webmaster based in Virginia, Ryan is a recent east coast addition to the T Ching staff. Ryan’s own tea addiction started with a randomly purchased Sow Mee white tea from an Asian market when he was in college. Since then, he’s expanded his horizons and knowledge about tea, tea preparation methods, and tea production and runs the online tea shop Asacha. Ryan spends his spare time working on personal web projects and music, writing about veganism and animal rights, as well as hanging out with his wife, daughter, son, and basset/shepherd/bloodhound mix. Susana Mojica is a sun-loving California native currently living in Milwaukee, Wisconsin. She studied organic agriculture in Northern California and has a deep understanding of nature and our relationship to it. She is fascinated by the synergistic relationships we have created with plants. When arriving in Milwaukee, she was fortunate to find Rishi Tea and expand on her knowledge and love of plants. Over the past three years, her esteemed teacher and tea mentor, Joshua Kaiser, has had a profound impact on her road to understanding the way of the leaf. She now helps run the Mail Order Division at Rishi Tea and is able to expand on her knowledge of tea while helping guide many on their own personal tea quests. Tracy Monson is the owner and founder of Essencha Tea House & Fine Teas in Cincinnati, Ohio. After graduating with a degree in Film from the University of Colorado (Boulder), Tracy took a 2-1/2-year trip around the world, spending much of her time in tea-producing, tea-drinking cultures. A large portion of that time was spent in Japan, where she worked while studying ceramics, tea, and Japanese. Although she had always been a tea drinker, it was during this time that she began a true love affair with tea and its associated cultures, rituals, history, art, and aesthetics. After leaving Japan, Tracy decided to backtrack, taking another trip around the world, during which time she met and married her husband of 14 years. After her return to the States in the mid-90’s, Tracy began a career in IT while pursuing her MBA. It was during this time that she began to explore the feasibility and viability of opening and sustaining a modern teahouse in Cincinnati. About a year and a half after graduation, she left her career and opened Essencha Tea House in March 2006. In addition to overseeing strategy at the teahouse, Tracy is the mother of three young children and spends what little free time she has outside the teahouse exercising, cooking, reading, and entertaining. Nancy Murphy lives in Austin, Texas, where she works in high tech. She enjoys learning about tea, and in her spare time is working on her dream of owning a tea shop, although this may be a retirement career. She takes many opportunities to pursue her tea education, and continues to be touched by how open and welcoming everyone in the tea world has been. She has enjoyed exploring tea shops and markets in locations such as China, Malaysia, England, and France, and would love to take a trip to the tea estates in India, Taiwan, and China. In 2000, Zhena was faced with the most difficult challenge of her life when her son, Sage, was born with a severe birth defect. Barely making ends meet, and with no health insurance to cover Sage’s mounting medical costs, Zhena was determined to earn the income necessary to support the needs of her son and finance the several surgeries to ensure Sage’s survival. With her degree in aromatherapy, her love of tea, and a small collection of money from friends and family, Zhena embraced her Ukrainian Gypsy ancestry and began peddling her teas out of a cart on California street corners. Believing that selling her tins of tea could alter fate, Zhena became a purveyor of hope and the founder of Gypsy Tea. Today Sage is a healthy, energetic boy and the company is an award-winning brand delighting consumers around the globe. Kei Nishida, PMP is a former Hewlett Packard Software Engineer with a passion for green tea and coffee. He is the founder of JapaneseGreenTeaIn.com and author of multiple books and blogs. His latest book “I Will Teach YOU How to be healthy by Using Japanese Green Tea! : Surprising Facts and Tips for How You can Take Best Advantage of This Amazing Plant” is available in print and Kindle Book on Amazon. Kei grew up in Japan and moved to USA at the age of 14, now living in Portland, Oregon. Kei takes advantage of being bi-lingual of Japanese and English for his research and writing. Information you find in his blogs are combination of both best contents and researches from Japan and all around the world. David Novak writes a weekly syndicated newspaper column and has appeared on TV, radio and magazines, such as Reader’s Digest, USA Today, Newsweek, the Today Show, the Paul Harvey Show and the CBS Morning Show. David writes about health, diet and fitness, and is a regular contributing editor for Healthline. For more information, visit http://www.healthline.com/. Nini Ordoubadi is an Iranian-born designer who founded Tay Tea in 2003. A New Yorker for over thirty years, Nini has developed a unique and evocative line of hand-crafted tea blends that are coveted by aﬁcionados. Nini’s singular and artistic approach to tea blending draws direct inspiration from the ancient tea rituals and ceremonies of the Middle East, Central Asia, North Africa, India, and beyond. Her personal and deep cultural connection with the East is a limitless source of creative inspiration. Tay Home, Nini’s teashop in Andes, New York, opened its doors in May 2005 and quickly became the social hub for the town and environs. The growing popularity and following of the shop is due mainly to its owner’s charisma and the storeʼs fresh and ever-changing décor. Tay Home promotes the work of local artisans and has a well-edited collection of teaware, tea gifts, home furnishings, and garden accessories. But all these take a back seat to the main attraction, which is, of course, the tea. Tay Tea Bar serves various hot and cold teas daily, and the beautiful canisters grace the shop with their distinct and colorful labels and whimsical names. Nini has also used her tea-blending skills to design custom tea collections for exclusive clients, such as Henri Bendel, Emerson Resort and Spa in New York, and The Fontainebleau Spa in Florida, among others. Her brand has grown and developed steadily, and is frequently highlighted in the media. Tay Tea blends are currently available at prestigious retail stores, such as ABC Home in New York City and Mayﬂower Spa in Connecticut. Terry Patzwald lives in Vancouver BC, Canada where he loves to spend as much time as possible in the out doors being surrounded by the natural beauty that is abundant in British Columbia. He has spent most of his working career within the Financial Service Industry, but has recently decided he must pursue a new passion in the Health and Wellness field. And his love and fascination with Tea has lead him to pursue an opportunity to set up an on line tea business so he can provide some of the best quality Teas available to people who have a refined knowledge and taste for tea. His focus for selecting teas will be based not only on the health benefits of the teas but also about the history and the regions of the world from which they are cultivated. He wishes to share his experience of his individual journey as he discovers the tea world and the challenges of setting up his web site so tea lovers can take part in the expanding awareness of Tea and the ever increasing selection that is becoming available from all over the world. Jennifer Petersen, aka Cuppa Countess, owner of the Carnelian Rose Tea Company and Tea Trade Mart, is in her fourteenth year as a tea entrepreneur. Always curious about the hospitality of tea, Ms. Petersen appreciates the simplicity as well as the sumptuousness of tea. She has observed the customs of several countries including Spain, Portugal, Greece, Turkey, Egypt, Israel, and Mexico. Ms. Petersen is a respected, results-oriented teacher of tea and trains those who wish to create businesses related to tea. With afternoon tea themes developed around menus served at world-renowned (and sometimes off-beat) establishments, she features tea recipes and tea menus provided by the chefs and culinary staff at those lodging and hospitality venues. Elyse Petersen worked as a Global Tea Ambassador in Wazuka, Kyoto, Japan with the International Tea Farms Alliance. Through her time in Japan, she made many connections with tea farmers and was inspired by the passion farmers had for their tea. She is now the founder of Tealet, a marketplace that connects drinkers with tea growers around the world. James Norwood Pratt published his first book on tea in 1982 and is widely acknowledged as an instigator and prophet of America’s present tea renaissance. With numerous columns, articles and interviews in overseas tea periodicals and books which have been translated into French, German, Czech and Chinese, he is perhaps the world’s most widely read author on the subject today. He was made Honorary Director of America’s first traditional Chinese tea house, was instrumental in creating APTI (precursor of the current Specialty Tea Institute), has been editor-in-chief of two tea magazines and leads tea tours to China and India. In 2005 he was chosen International Juror in India’s first-ever tea competition. His entertaining talks and tea classes reach growing audiences each year and James Norwood Pratt’s “New Tea Lover’s Treasury”, his now classic “bible of tea”, remains the most comprehensive compendium on tea in English. Besides his “International Tea Dictionary” for the tea trade, his works in progress include “All About Black Tea: For those who’ve given tea a thought but not a try.” T Ching will preview selected excerpts. Michelle Rabin is the founder of T Ching. Eight years ago, she left New Jersey where she’d been in private practice as a psychologist for 25 years, and moved to Hood River, Oregon with visions of tea in her mind, body, and soul. Her mentors, Robert G. Allen (N.Y. Times best-selling author) and Mark Victor Hanson (Chicken Soup For the Soul) taught her that she is limited only by the limitations she imposes on herself. It is her vision and drive that is the inspiration for this innovative new business. She was able to see, early on, the direction the tea industry was headed in this country and was drawn to every aspect of it. A former coca-cola addict, Michelle first discovered green tea as a healthier beverage choice to wean herself off of her coca-cola jones. Her love affair with tea began while studying the traditions of the Japanese and Chinese Tea Ceremonies. But it didn’t end there. As a tea connoisseur herself, Michelle saw the need to educate consumers about tea. Her prediction is that once Americans can make a delicious cup of tea quickly, painlessly, and perfectly, their consumption of tea will significantly increase, bringing it in line with the rest of the world’s enjoyment of tea. Second only to water, tea is the most widely consumed beverage in the world. The profound health benefits associated with tea consumption will have the potential to impact health and wellness in this country unlike anything before it. We’re currently working on a new project and expect to launch it this winter. We’ll keep you posted so you can be the first to participate in this exciting new avenue for tea lovers. Regena Rafelson is a retired teacher living in the Columbia River Gorge. An avid hiker, she loves to experiment with water taken from local streams and waterfalls and using it to make tea (after bringing to a boil, of course.) So far, Buck Creek, Wahkeena Springs, and Oneonta Creek yield the best brew. Regena’s tea journey began in 2006 with a frightening diagnosis of heart disease. Still kicking, she alternates hiking with flower and vegetable gardening, reading, tutoring in writing and maths, and guest teaching. In the past year she has become a political activist, spreading the progressive agenda. She continues to be amazed by the resilience and brilliance of young people and hopes to join their movement, one cup of tea at a time. 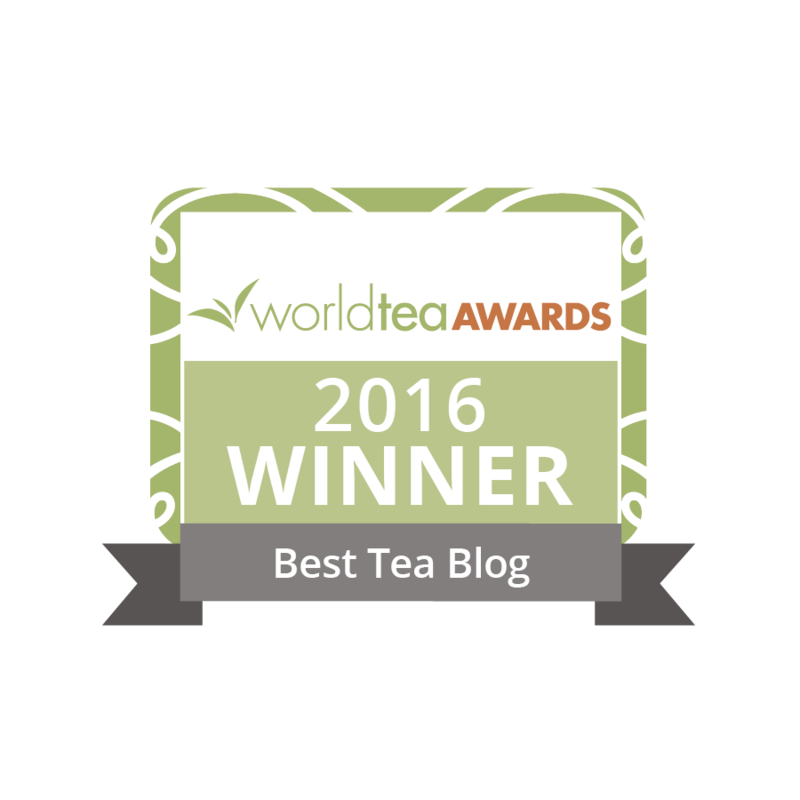 Sam is Tea Sommelier for TeaGschwendner, the world’s largest specialty tea retailer. He is a self-described ambassador for tea, sharing his passion one cup at a time with those curious about the most popular drink on the planet. Traveling far and wide in the name of tea, Mr. Ritchey has visited gardens in Nepal, India, and Japan, engaging with dozens of artisanal teamakers along the way. While he brings the insight of these journeys to his tastings and workshops, his true expertise has been built in Chicago. Dan Robertson is the founder and owner of The Tea House (www.theteahouse.com) and World Tea Tours (www.WorldTeaTours.com) in Naperville, Illinois. He was born in New Haven, CT, raised primarily in the Midwest, and is a graduate of the College of Wooster, Ohio. He is a 25-year practitioner and instructor of the martial art and health exercise Tai Ji Quan. Before venturing into the world of tea, in 1985, Dan established FRAMEWORK Video & Sound, a video production company specializing in documentary and educational programming. Although he had traveled to the Orient previously, it was his career as a filmmaker that took him to China in 1994 and again in 1995 to produce a documentary on tea. With two years of preparatory work, he traveled extensively across China for two months, filming tea gardens, factories, teahouses, hospitals, universities, museums, and historical sites, interviewing tea experts in all areas. As an unexpected result, in 1995, he began his own tea business, drawing upon the resources and knowledge he had developed during his travels. Since then, he returns to China nearly every year to meet with suppliers, discover new teas, study, or research. Since 1996, he has organized and led the acclaimed China Tea Tour, during which tea lovers from around the world get first-hand experience in tea making, history, culture, and business. Expanding beyond the Far East, he launched World Tea Tours in 2007, offering tours to tea producing and cultural areas around the globe. As an importer, wholesaler, blender, and purveyor of premium teas and accessories, he is involved with many aspects of the tea industry. He is a regular contributor to various tea trade periodicals, web blogs, and tea news services. Known for his informal and engaging style, Dan shares his passion for tea, lecturing around the world for businesses and educational and private groups, most recently presenting at the India Tea Forum in October of 2010. An authority on tea culture, history, production and trade, Dan conducts professional tea-tasting classes and instructs courses in the Chinese tea ceremony. His DVD – The Art of Chinese Tea – The Tea Ceremony – is a demonstration and tutorial on the gongfu style of tea making. Naomi Rosen is the owner of JoysTeaspoon.com, a Las Vegas-based retail site featuring premium loose-leaf teas, organic spices, and accessories. Naomi recognized the ease of getting together with family and friends over a great meal and a fantastic cup of tea. Subsequently, Joy’s Teaspoon was launched in April 2010 to make fine teas and quality ingredients easily accessible and a little less frightening to prepare. Naomi presents Tea/Spice 101 and tea-pairing sessions throughout Southern Nevada and California, has spoken at the college level, and is a founding member of the Las Vegas Tea Festival. Naomi lives in Las Vegas, Nevada, with her husband, John, two little people, JJ and Gavin, and two drooly basset canines, Rosco and T.G. James was born and raised in the Chicago Suburbs. He is a caffeine addict who does not drink coffee or soda, tea is what fuels him. His passion for tea began in 2008 while attending college when his now wife bought him an infuser and several bags of loose leaf tea. That started a hobby that has led to a collection of teas and teaware that has filled a few pantries in the house. His favorite teas are Chinese black teas, Wuyi oolongs, and sheng puerh. James works in IT and besides drinking tea he enjoys traveling, bouldering, and going to metal shows. Dr. Milton Schiffenbauer is a microbiologist and assistant chairman of the Department of Biology at Pace University’s Dyson College of Arts & Science in New York City. Dr. Schiffenbauer’s current research focus has been looking at the antiviral, antibacterial and antimicrobial properties of white tea. Phyll is a tea and wine enthusiast who enjoys drinking and discussing the them. He mostly brews his tea using the Chinese gongfu method. Phyll maintains a blog on tea and wine (mainly). He also co-moderates a lively wine discussion forum called Winexiles, in which passionate members come from all walks of life and professions. He writes independently out of personal enjoyment, and he owes much of his knowledge to many people he has met and will meet in the future. Phyll resides in Los Angeles. Born into a family with tea leaves embedded in their genes and at the root of their traditions, Dananjaya Silva (the Managing Director of PMD Tea) was already one cup of tea away from where he was meant to be. As a youngster, he never considered a potential career in the business nor the industry, instead favouring a Law degree and a dream away from joining the Royal Marines. It was his travels after University and his link with his paternal grandfather that encouraged him to learn more about his rich family history and thus started the cogwheels on his roller- coaster spiral into the world of tea. Dananjaya realised that he had to understand the tea trade from the ground up in order to be able to truly reflect his grandfather’s legacy. It was on this thread that he decided to spend a year travelling Sri Lanka, working on various tea plantations and immersing himself into the intricacies of tea manufacture. His love for all things tea began on this journey. There was a gaping hole in the market to offer consumers the word over with garden fresh, o-zone friendly tea from Sri Lanka. It has proved a hit within the UK with historic establishments such as Harrods and the Queen’s personal Farm Shop as well as some of the worlds leading hotels. Dananjaya hopes that he will not only be able to teach those about the proper cup of tea but to allow people to enjoy their favourite teatime sip without harming their body or the environment. Herein lies the greatest challenge of them all. Mr. Simrany is president of the Tea Association of the USA, Inc., the Tea Council of the USA, Inc. and the Specialty Tea Institute (STI). In this capacity, Mr. Simrany tracks trends, disseminates information, and represents the interests of the wholesale and retail tea industry on a broad spectrum of issues. As president of the Council, he leads the industry’s educational and public relations’ efforts relative to communicating the many attributes of tea to consumers. Joe Simrany first came to the tea industry in February of 1991 after 25 years in the biscuit industry, most recently as vice president of marketing for Sunshine Biscuits, Inc. At Sunshine, he was instrumental in evolving the company from a manufacturing driven strategy to a consumer driven strategy. In addition to significantly strengthening the companies’ share and profit positions, he spearheaded the effort to expand and update the companies’ product lines. Prior to his time at Sunshine, Mr. Simrany was a product group director at Nabisco Brands, Inc. where he was employed for nearly 20 years in a marketing and sales capacity. Pankaj Singh grew up in India, where he graduated from the prestigious National Law School. He then finished his Masters in European Legal Practices from Universitè de Rouen in France and Max Planc in Germany, specializing in European patent laws. Pankaj has authored several articles on international law and human rights in journals and magazines of international repute. He has also worked with the International Criminal Tribunal for Rwanda and Ex-Yugoslavia in The Hague and the Office of High Commissioner for Human Rights in Geneva. Presently, Pankaj is a partner in Mantra Estudio in Mexico; the company provides a platform for all major Indian brands in Mexico and Latin America, working to find markets, strategic alliances, and distribution channels for those brands. The Mantra Estudio imports teas from all the major tea estates in India, China, Sri Lanka, and Nepal. As a partner in charge of business development, Pankaj takes due care to offer award-winning, loose-leaf tea each season that is organic, fair trade, and hand-crafted. He also promotes awareness and understanding of tea, from bush to cup. Pankaj speaks both French and English well and has a working knowledge in Spanish. Kristin Sloan is a dancer with the New York City Ballet and founder of thewinger.com, a community oriented dance website that shows the lives, insights, and personalities of professionals, students, experts and pioneers in the dance world. Growing up, Kristin’s mom was always drinking tea, but it wasn’t until she was accepted into the New York City Ballet and felt the rigors and physical demands of being an elite athlete that she came to realize the benefits that tea could offer her. Kristin hopes to help T Ching readers understand the importance of health and nutrition for athletes as well as help dancers understand the performance and health benefits of tea. Francis Tan’s first attempt at cooking was a souffle at age 13, and she has never had one fall (yet). Ever since then, she has scoured the web for new recipes and is very excited to share her huge stash of bookmarks with the world in a new email newsletter on CurateHub. Global Tea Hut is a tea magazine, a tea of the month club, an international tea community and much more. In 2012, it was founded by volunteers at the non-profit tea center Tea Sage Hut with the mission of promoting, cultivating and expressing an awakening of harmony through tea. In the two years since it began, Global Tea Hut has changed lives and formed communities around the world, all through the connections created by the way of tea. Each month, Global Tea Hut envelopes reach hundreds of tea lovers in dozens of countries around the world. Each envelope contains a full-color, ad-free tea magazine, a sample of sustainable tea and a tea-related gift… plus lots of tea love! For more information, email us or visit globalteahut.org. To subscribe, visit globalteahut.org and click ‘subscribe’. Alexa Teabauchery is an Anthropology and Communications professor, as well as a longtime member and Social Media Editor of T Ching. She is a 28-year-old tea enthusiast who first became enamored with the drink while watching jasmine expand in a glass teapot. She knew she was hooked when she realized how healthy and grounded the experience of drinking tea made her feel. She is currently developing, Teabauchery, a tea, art, and culture project. Hiding out with her husband in the artist-strewn organic hills of Topanga, California, Jane is struggling with the “joy” of retirement. She spent 20 years developing software for aerospace, video games, stock brokers, and on-line banking, but now feels moved to write in a language that something besides machines can understand. A UCLA alumna with a mutinous daughter recently graduated from UC Berkeley, she is now trying to channel her inner healthy tea-drinking person, who has been mugged and left for dead by her coffee-swilling evil twin. Despite ominous predictions in the tea leaves, she is pretending to get her act together and has recently become the proud owner of an ISBN number! Check out her website for the details (and more), or go straight to Elide Books. May King is the founder of MayKingTea and is one of the Top 50 Specialty Tea Institute’s globally recommended certified speakers on tea. As a BBC (British Born Chinese), May King has been drinking tea for as long as she can remember, ever since her parents took the whole family out for Yum Cha (Dim Sum) in Manchester, UK. Her professional passion for the beverage though came from a business opportunity that steered her in the way of coffee (!). Staring at the menu of one of the biggest coffee chains, she realized that tea was actually her passion and so her tea journey continues to this day. After many years as a professional presenter, May King has combined her passions of both teaching and tea to produce a collection of tea-tasting classes that are relaxing, refreshing, and fun. As an experienced public speaker, May King has spoken at various engagements in Australia and the UK covering a wide range of tea-related subjects, including the history of tea, tea’s health benefits, and identifying quality tea. An advocate of social media, May King has also been interviewed and has spoken to various groups on how social media can work for small businesses. And yes, May King is her real first name, you know, as in MayKingTea. Maria Uspenski’s love of tea was fostered at an early age by her Russian family. Later, as an undergraduate student in Paris, France, she was introduced to many more varieties than the traditional black teas of her childhood. During stints as a ballet dancer and athlete, Maria began to discover the health benefits of tea. Fast forward to 2010. Maria is now the Founder and CEO of The Tea Spot, educating the public as well as her two daughters on ways to enjoy tea to enhance a healthy lifestyle. Her message is simple and powerful – tea in its freshest form renders exceptional flavor, unmatched health benefits, and is eco-friendly. A certified woman-owned and operated business, The Tea Spot produces innovative and patented products to modernize the loose-leaf tea experience. 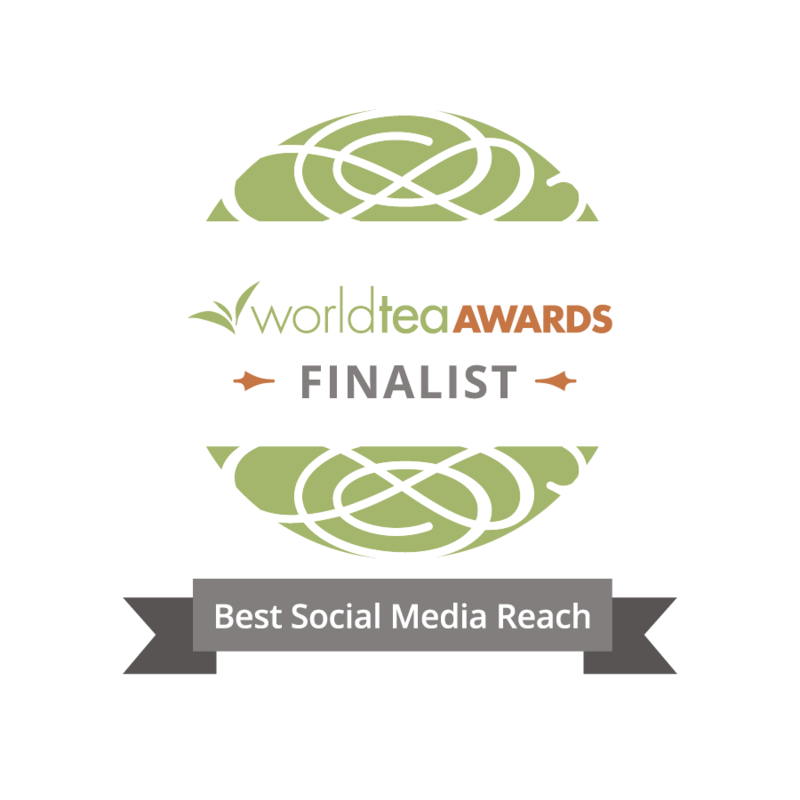 The award-winning Steepware® line promotes the ease of loose tea preparation. The Tea Spot’s line of microblended loose teas includes organic and Fair-Trade Certified™ estate teas as well as handcrafted signature blends. The company is committed to clean, sustainable, and fair manufacturing standards. Maria’s inspiration to start The Tea Spot grew out of her passion to foster wellness for cancer survivors through full-leaf tea. She had the entrepreneurial skills necessary to put her plans into action. Her 20 years in management, marketing, and product research and design came from her work with IBM, Control Data Corporation, and EcoSoftware, a computer systems engineering firm that she founded and operated. Under Maria’s leadership, EcoSoftware sustained a consistent 30 percent annual growth rate during its eight-year existence. Lockheed Martin named it their “Supplier of the Year” in 1999. Maria sold the firm in 2000. An MIT mechanical engineer, she is listed on three U.S. patents – one for her work with IBM and two for The Tea Spot’s line of Steepware™. Her engineering and business expertise now make it easier for us all to steep up the perfect cup of loose-leaf tea. Based in Boulder, Colorado, The Tea Spot’s culture of social entrepreneurship incorporates a culture of giving as it grows – ten percent of every sale is donated in-kind to cancer and community wellness programs. I’m an entrepreneur in Los Angeles and I’ve just recently launched GoMo Detox Tea, the world’s first tea and supplement blend specifically for hangovers and jet lag. I have always had a taste for entrepreneurism, starting small businesses, inventing “products” as far back as elementary school and has only gotten stronger as I’ve gotten older. Born a Newfoundlander and raised in the high arctic among the Inuit, Brendan was slurping sweet milky tea from the time he was old enough to hold a cup. Through his travels as a rock and ice climber, Brendan had the good fortune to see tea taken by many other cultures around the globe. On a climbing excursion in Pakistan in the mid-90s, he discovered authentic chai and was so mesmerized by the beverage that he started to brew his own version of chai after returning to Edmonton. This chai-brewing operation now goes under the moniker, The Chai Company. Then, on a trip to Prague in 1997, Brendan stumbled into a teahouse that blew his mind – a bohemian, eclectic lounge offering hundreds and hundreds of tea varieties for sipping or to buy. The seed was now firmly planted, and on a hot May morning in 1999 on a dusty street in Edmonton, Brendan opened his first teahouse and called it “Steeps – the Urban Teahouse”. It was Canada’s first true sipping lounge for the masses. With his late brother, Paul, he went on to open five more stores in Edmonton, Calgary, and Vancouver. At the same time, The Chai Company was growing and expanding and satisfying the palates of chai latte lovers all over western Canada. After more than a decade immersed in the tea business in Canada, Brendan has now completed all the levels of the Specialty Tea Institute’s (STI) Level 3 professional tea series and is now one of Canada’s few designated Certified Tea Specialists. Today, you will find Brendan through his informative website (theteaguy.com) and helping other people find a good home in the world of tea. Dr. Weisburger was a commissioned officer in the US Public Health Service, assigned to a research program at the National Cancer Institute, NIH, Bethesda, MD. He was concerned with the mode of action of chemical carcinogens in general, and arylamines in particular. Some of these chemicals were important occupational carcinogens, and in more recent years it was discovered that they occurred in the environment of every consumer of cooked meats, since the cooking process generates heterocyclic amines. Between 1961 and 1972, Dr. Weisburger was also concerned with effective means to test for environmental carcinogens, as Head of the NCI Carcinogen Bioassay Program. With the discovery at the Oak Ridge National Laboratories that carcinogens could be mutagens, he organized national programs to develop rapid in vitro bioassay systems to test for carcinogenicity. Dr. Weisburger later left NCI to become Director of Research at the American Health Foundation. Dr. Weisburger is known for his research on the mechanisms of chronic disease causation, as a sound basis for prevention. The main theme of the research deals with disease prevention, the definitive approach to disease control. In particular, the research involves studies of the association between specific lifestyles anywhere in the world, and the locally prevailing chronic diseases, the area of geographic pathology. A number of chronic diseases stem from inappropriate oxidation reactions and the formation of reactive radicals. These can be prevented by ensuring the presence of antioxidants, such as are provided by vegetables, fruits and the beverage tea. Dr. Weisburger states that regular exercise is also a part of a healthy lifestyle. Based on sound research as described above, people anywhere in the world need to be provided with guidelines as to healthy lifestyles as a means of health promotion. This is important in view of the high cost of medical care to the individuals concerned, their families, their insurance carriers and their governments. Pastry chef and culinary educator, Robert Wemischner has always been intrigued by the flavor potential of ingredients, from turmeric to tea and from cumin to coffee. Author of four books, most recently, ‘The Dessert Architect,’ Wemischner began his career to great media acclaim in the food business in the early 70’s as the owner of a pioneering gourmet-to-go shop in Beverly Hills. He then went on to open a similar operation in Baltimore and in the early 90’s returned to Los Angeles and began teaching the pastry and culinary arts in earnest. Drawing upon his exposure to classical cooking at a young age during informal apprenticeships to chefs in France, he has been imparting his knowledge to a diverse audience of students as a teacher of baking and pastry for the past 16 years at Los Angeles Trade Technical College. He has also vigorously pursued freelance food writing and has been a valued and regular contributor to ‘Sante,’ ‘Food Arts,’ ‘Angeleno,’ ‘Pastry Art and Design,’ and ‘Robb Report’ magazines, among others, writing on a wide variety of food and food business-related subjects. He is also the author of ‘The Vivid Flavors Cookbook,’ a groundbreaking book about fusion cuisine, ‘Gourmet to Go’ on the business of specialty food retailing, and ‘Cooking with Tea,’ an exploration of the culinary potential of the leaf. Over the past 25 years, Robert has presented on baking, pastry, and other food-related topics to professional organizations, including the International Association of Food Professionals, Retailers Bakery Association, and Women Chefs and Restaurateurs, and continues to consult and present to food service professionals and media for companies such as Lipton Tea/Unilever and independent operations. including start-ups in the baking, food service, and restaurant fields. He has also been guest chef on board Silversea Cruise lines to Sri Lanka, India, and Thailand, where he presented on tea, cooking with tea, and tea and food pairings and also escorted tours to tea manufacturing plants as part of the shore excursion programs. Most recently, he was the guest chef aboard Crystal Cruise lines’ luxury trip through the Baltic; on board he lectured on desserts and cooking with tea and worked side by side with the ship’s chefs to create a menu of his signature desserts with appropriate beverage pairings. In addition, he presented on cooking with tea at the World Tea Expo in Las Vegas in June 2010. This year, Robert participated in the first annual Los Angeles International Tea Festival and was the only mainland chef to participate in the Taste of the Hawaiian Range locavore event on the Big Island, where he cooked with Hawaiian-grown tea. He will also be presenting a cooking with tea workshop at Siptea in Santa Monica. Peter Wescombe is an Australian entrepreneur and humanitarian who has been living and working in Asia for over 25 years. During this time, he has traveled extensively throughout Southeast Asia as well as India and China. His main business experience has been in the printing industry and export business and his positions have included that of International Marketing Director for a prominent Thai publishing company and Managing Director of a Swiss-owned, Taiwanese publishing company. When he moved to Taiwan several years ago to set up the aforementioned Taiwanese company, he was introduced to the amazing world of Chinese tea and tea culture. Since then, he has developed a passion for Chinese tea and the beautiful, artistic culture it embraces. Consequently, it has become his desire to share this with others. Toward this end, Peter has stepped out in a new direction this year and started the Zi Chun Tea Company (http://zi-chun.com), through which he hopes to provide an opportunity for others to experience and enjoy the wonderful world of Chinese tea. Peter has also been actively engaged in humanitarian work, charity projects, and missionary-related activities in many Asian countries during the past 25 years. He is the founder and chairman of the Family International Services Association of Taiwan, or FISAT (www.fisat.org.tw) – a national Taiwanese social service charity association. After 30 years living on the doorstep of the Peak District in the UK and after several years of preparation and saving, Kev Woodward, his wife, and their three cats moved to France in 2009, from where Kev continues to run the business he set up in 2002 offering a wide variety of web-based design, writing, and SEO services. His strengths lie in the coding of a web site, using clean coding that complies with current web standards and building sites that are search engine friendly. A number of the niche sites he has produced have hit the top of Google on the strength of the coding and content alone. Kev also has a life away from the computer, enjoying teas from www.innteas.com, being in the great outdoors, climbing, road biking, mountain biking, and walking, with a preference for mountains rather than farmland as you can probably guess from the photo! Shirley Yan is a student at Wuyi University, where she is majoring in Chinese tea culture and economics. The university takes its name from the Wuyi Mountains, home of the famous Big Red Robe oolong tea. Shirley loves tea not only for its health benefits, but also because of her fascination with the art of tea making and tea drinking. In 2011, Shirley had the opportunity to participate in the Chinese Tea Expo, which was held at the Sydney Convention and Exhibition Centre, where she was able to demonstrate her own love for Chinese tea culture. For Shirley, tea, as a cultural bridge connecting East and West, is a symbol of harmony. Adam Yasmin is a Los Angeles native and the founder of Teaometry – an independent tea company purveying organic and wild-harvested teas and promoting self-discovery through Gong Fu tea. He is also a professional musician, photographer, traveler, and student of various esoteric arts. Visit www.teaometry.com. Edwin Yeo is a random Singaporean who recently discovered an interest in tea. In particular, the diverse tea cultures and tea-making techniques around the world are highly appealing to him. He is keen in exploring the lesser-known aspects of tea cultures and hopes to have some new adventures during his tea journey. Erin Young is a huge tea fan and the founder of Zen Green Matcha Tea (Australia) and Evergreen Matcha (USA). Her companies source premium, Japanese matcha powder from Kyoto. Erin’s matcha is known for its vibrant green, light, and non-bitter characteristics. It is packed full of antioxidants and health benefits. Visit her websites to buy matcha or read more about matcha health benefits. Adam is an academic studying mathematics and currently applying to graduate schools. He got interested in tea because he was drinking an excessive amount of coffee, and found in tea a hobby outside of mathematics on which he could spend his excess energy. Adam is the author of The Sip Tip – a tea blog focusing on Chinese and, more recently, Japanese teas – and an avid collector of Hagi Yaki.